JD, thanks for your continued efforts. I'm a peak oil ...believer is such a flaky sounding word even though it's accurate since I think oil production peaking and declining is an unavoidable fact... but I continue to hold out hope; and sites like yours make it easier to do that. I also really appreciate that you've got your eyes to space, even in the face of all the haters. Our future lies in space! Here to go! Place of dead roads! The lunar Helium 3 idea is a totally crackpot idea. 1.There are one million tons of He3 on the top lunar soil, no deeper than a few feet. 2.These one million tons of He3 can provide the U.S. for a one thousand years of electricity. The number sounds big but they actually are NOT quite that big. The U.S. only consumes 1/4 of the world's total electricity, or maybe less. So to provide the whole world with electricity, the one million ton lunar He3 is only good for 250 years, not 1000 years. Now, the world's electricity consumption is only 1/6 of total energy consumption. So to provide the world with all energy supply, not just electricity, you need to further divide the number by 6. Which results in 43 years of supply. Only 43 years of energy supply, even if you mine every little bit of He3 on the moon 100%. That doesn't look like an encouraging solution. The moon's radius is 1738,000 meters. So its surface area is 4*PI*1738000^2 = 3.8x10^13 M^2. Multiply by one meter depth, that's a volume of 3.8x10^13 M^2, at about 5 kilogram mass per cubic meter, that's a total mass of 1.9x10^17 kilogram. You are talking about cooking 190 trillion tons of lunar soil to 700C, in order to extract just one million ton of He3. The concentration of He3 is only 5 parts per billion!!! Each ton of lunar soil cooked will yield just 5 miligram of He3. Where do you get all the energy to cook 190 trillian tons of lunar soil to 700C temperature? The extracted He3, even if all their energy is released, is far from being enough to even cook the soil from which they were extracted. The whole history of humanity has never cooked anything remotely approaching 170 trillion tons, to any temperature remotely close to 700C. All the hot water for bath/shower humen ever cooked (which is to no more than 50C), from the Roman era to today, is about one trillion ton of hot water. It's a complete ridiculous idea to believe that extracting He3 from lunar surface could be of any usage in terms of energy. Nice posting, JD. I share your admiration for Professor Kulcinski. No one really knows how much Helium-3 exists on the moon. More is being made every day, so I doubt if it will ever run out. Heating lunar ore to 600 C is child's play given the intensity of sunlight during the long lunar day. The process will no doubt be automated and run with almost no human supervision. The problem involves perfecting the process from both ends--fuel processing and transport, and actual fusion. This is the type of problem that modern operations research was invented to solve. Thanks for being a problem solver, JD. Interesting blog you have here. Fusion is interesting and exciting stuff, but citing as something to debunk the peak oil fearmongers is just silly. There is absolutely no way nuclear fusion is going to be ready inside of the next 25 years in a fashion that will mitigate the effects of what is to be a massive and sustained liquid fuel crisis. Whereas the doomers, as you call them, cite every little development in the markets as a sign the end is certainly near and "it's time to grab your guns and gold and run for the hills", I've noted a similar tendency on your part: Every interesting scientific developmentstill in the research stages will be discussed on this blog as evidence of why the future will be an energy-filled and prosperous one. In a roundabout way, you're doing the fearmongers' job for them as any reasonable person (particularly one with a scientific background) is going to see these type of posts for what they are, which is just plain silliness. Putting the silliness of of this particular post aside for a moment, I do applaud your willingness to put so much time into this endeavor and I hope you continue. It is encouraging to see at least one teenager put so much time and effort into such an endeavor while most of your age group are no dobut are playing video games. BTW, I'm assuming the teenager thing is some kind of low jibe. "BTW, I'm assuming the teenager thing is some kind of low jibe." No, I thought most of the posts on this site where by a teenager and his friends. My most sincere apologies if the case is otherwise. You know, the pompous ignorance of nukengineer is typical for someone who is good in one field, but totally clueless in everything else. You might call such a person a specialist. Take their bloviating on everything outside their specialty with a huge grain of salt. As everyone knows, nukengineers are trained in various aspects of nuclear fission. For them to comment on nuclear fusion without having the proper credentials in physics is just plain teenage silliness. Just kidding, NE. Say whatever you want. This is not even my blog. You've got me wrong. I'm very interested in fusion. But we've got a liquid fuel crisis right around the corner. We won't have nuclear fusion electricity for at least another 25 years. So it aint' going to do squat to mitigate peak oil. This should be obvious to anybody with any degree of technical background. That is wasn't obvious to those on this list led me to believe this blog was populated by enthusiastic but unknowledgable teenagers. NE, what you say about the probable timeline for development of fusion electric plants is likely true. It is also irrelevant to the overall discussion. In general the people here are interested in both short term and long term issues as relates to energy. Articles about Helium-3 mining of the moon are interspersed with articles dealing with much more near-term issues. Peak oil is merely a springboard for looking at the larger picture. Getting off a quick quip can be satisfying, but this website is clearly much larger than you realise. Take your time and look around next time. I'm afraid I've got to agree with Nukeengineer. This site is a refreshing alternative to the perma-gloom at the peak oil sites but you'll be more credible if you put some analysis into the technologies you showcase. You can buy commercial deutrium-tritium fusion devices now. They use them as neutron generators. 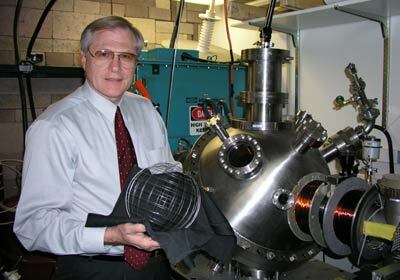 They don't use them as power generators because, just like this guys helium-3 reactor, they consume more power than they produce. Getting fusion is easy, getting break-even in power generation is not. The doom crowd may be a bunch of fear mongering nutcases but so long as their opposition is made up of people touting things like nuclear fusion using Helium-3 as mititgation strategies, the doomers come off as the more intelligent members of the debate. I'm sure I'm not the only person who lurked here and assummed this site was the work of a teenager or a socially-inept adult living at home reading Wired magazine all day. Thanks, pal.. I got a real big kick out of that one. So now fear-mongering, fallout shelter-owning Y2K leftovers come off as "intelligent." Just look at some of the peak oilers' theories, the more laughable ones being the idea that humanity will end up back in the caves or in some sort of Mad Max scenario. Not to mention the constant changing of their date of doom. The doomers have killed their own credibility, as anyone with a shred of common sense can see. You know, the world has been ending for thousands of years, according to "experts," ranging from old world priests to peak oilers... and we're still here, aren't we? Right on. No matter how much happens in the world, life goes on. It's going to take a lot more than Peak Oil to change that. Sorry. I would really like to see a post related to advanced fission methods. Such as Pebble Bed Modular reactors, CANDU, and the potential for reprocessing, and waste management. Someone in an earlier post response mentioned the problem of baseload power in relation to intermittant generation, how does this correlate with the potential for 2 way grid stabilizing charging systems for EVs, Plug in Hybrids, and maybe even an advance in energy storage technology..
weight means of transport using hybrid-biodiesel type technology? One million tons of helium 3 on the moon. It would be better to use it for space travel. Helium 3 fusion on earth an old fusion design call the farnsworth fuser may be able to be scaled up to produce helium 3, deuteriums, and tritium as by products. Sorting out by mass to balance the reactor. Tritium has a half life of 12 years so store it for 12 years and it turns into helium3. It will take helium 3 deuteriums and protium-hydrogen to start the reaction once balanced fuel needed is protium-hydrogen. Then put a plant on the moon before helium 3 runs out there. Am I missing something? It appears by this description that there's far less output being produced (one milliwatt) than the amount of energy consumed (one kilowatt.) If I read this correctly, 200 million reactions = one milliwatt output of energy production per second. Is the input power required to run the reactor (one kilowatt) also occurring at the rate of one kilowatt per second? So if I inhale this will my voice change??? We must realize that to apply the creative human mind to this issue has the predictable result that the problems will be solved. We cannot even imagine yet what those solutions are because we have yet to turn the "brain trust" to work. The first step is to get back to the moon. Over the next 25 years, the fusion problem will be worked on. Then will we take steps to begin the lunar extraction, realizing that the sun feels the lunar soil daily. And, the moon is probably not the only supply. But it will provide enough for the next few hundred years. In about 50 years we can go to Mars with 1 G constant acceleration. We get to Mars in 3 days and then the next 100 years is focused on colonization and what we can discover there. It's just too bad we wasted the last 40 years it petty British monetary colonalism, rather than work toward this lofty scientific goals. Hopefully, the failure of Obama and the world monetary system will bring this to a conclusion and the rail work of the industrialization of the moon and mars can begin. Every $1 spent on science returns 15 fold in dollars and infinity in regards to the advancement of mankind.